Nicholas J. Spoltman, MBA | Summit Consultants, Inc.
Nick joined the firm in 2015 as Director of Operations. He works to streamline the firm’s day-to-day business operations and focuses on marketing and strategic planning for the future. Prior to joining our group, Nick worked as an account executive at Our Sunday Visitor in Huntington, one of the nation’s largest Catholic publishers, serving clients throughout the United States by advising them on advertising placements across various publications. 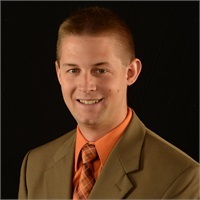 Nick also served as a Marketing Associate before being promoted to an account manager at Symplexity (formerly ENS Group), a regional information technology firm. His sales role allowed him to service multiple companies throughout northeast Indiana. Nick earned his BA in Marketing Management and Spanish from Hillsdale College in 2008 and his MBA from Indiana University-Fort Wayne in 2013. He also holds his state insurance licenses. Nick and his wife, Kelsey, enjoy volunteering with various ministries at their church and spending summer weekends at the lake with family and friends.